The annual state budget process got underway this week when Gov. Tom Wolf outlined his 2017-18 spending plan before a joint session of the General Assembly. The $32.3 billion proposal is balanced without any broad-based tax increases and includes several initiatives aimed at reducing spending and improving efficiencies by consolidating some state agencies. The administration estimates this could save the Commonwealth about $2 billion. We are committed to a “restart” of state government, focusing on funding programs and services that work, rooting out waste and reining in overall state spending. The governor took a different approach to the budget address this year and showed he is willing to work with the Legislature to achieve substantial reforms to our state’s troubled finances. I look forward to the coming Appropriations hearings where I will have an opportunity to further vet the governor’s proposals. I believe we can craft a fair and reasonable budget which addresses our deficit without eliminating necessary services. Budget hearings in the House begin on Tuesday, Feb. 21. More information can be found at PAHouseGOP.com. Trout season is just around the corner, and local anglers are now able to find out when their favorite fishing hole will be stocked with trout by the Pennsylvania Fish and Boat Commission. The guides are available in print, online and on the commission’s FishBoatPA mobile app. The commission stocks approximately 3.15 million adult trout in more than 720 streams and 120 lakes open to public angling each year. These figures include approximately 2 million rainbow trout; 640,000 brown trout; and 500,000 brook trout. The average size of the trout produced for stocking is 11 inches in length. The statewide opening day for trout season is Saturday, April 15. Additionally, the commission will host Mentored Youth Trout Days on Saturday, April 8. Youth under the age of 16 can join a mentor (adult) angler who has a current fishing license and trout permit to fish for trout the Saturday before the regular opening days. Youth anglers must obtain a mentored youth permit or voluntary youth fishing license as well. Click here for more information about the program. By dialing 2-1-1, people are instantly connected to a wealth of information related to their area’s nonprofit and human service providers. This “one stop shop” helps people cut through red tape and more easily find the help they need. These services are offered on a regionalized approach, ensuring that people are helped by their neighbors and people in their own community. More information is available at pa211.org. I joined dozens of my colleagues this week in wearing red to raise awareness of the “Go Red for Women” campaign to raise awareness of women’s heart disease. 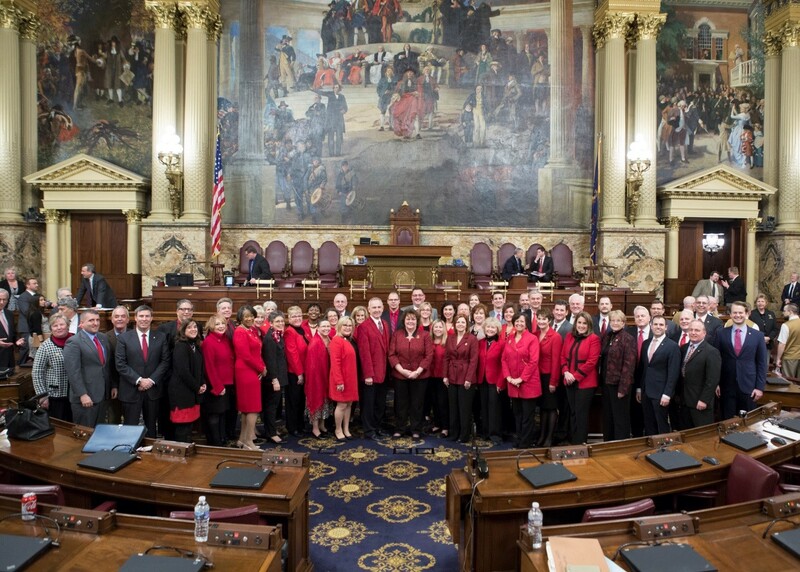 Legislative efforts over the years have made the official designation in Pennsylvania as a way to remind women of the risks of heart disease. It was my pleasure to stop by the Kahr Arms booth at the Great American Outdoor Show, held at the Farm Show Complex in Harrisburg. 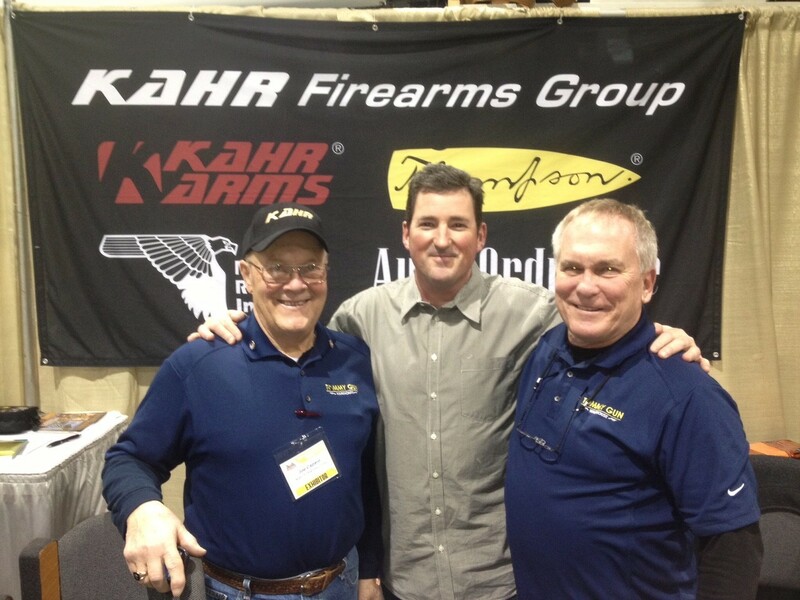 Pictured with me are Joe Caparo and Dave Strahler, who work at Kahm Arms in Greeley.